Learn how to cancel your subscription and close your account. What happens to my data when I close my account? Closing your account stops you from being billed in future. This removes your billing information from our system. You and the team will continue to have access to your account until the end of the current billing period. You can re-open your account in future, as long as it's within 12 months of cancelling it. Note: If you cancel your subscription, you may not have access to the same subscription if you re-open your account. This also applies to any coupons active on your account - certain coupons may not be available to you if you do re-open your account. 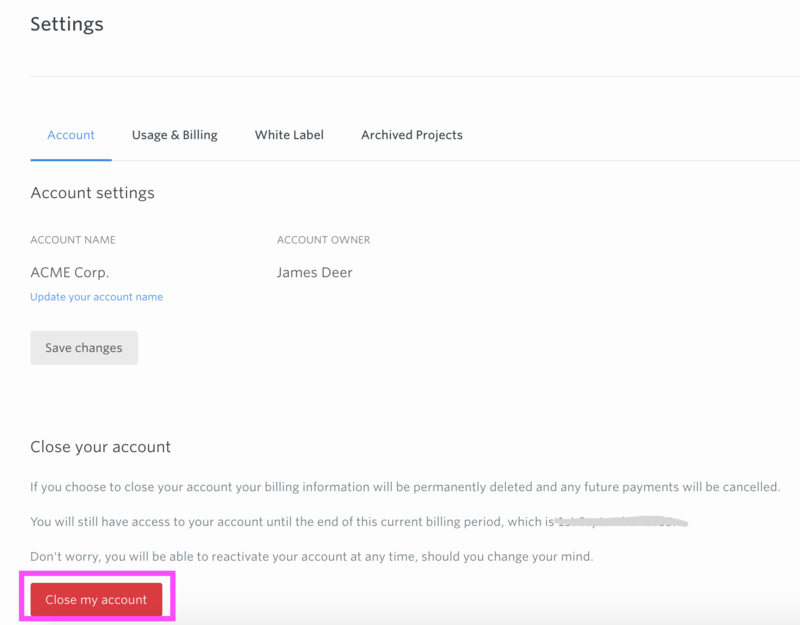 Tip: Only account owners can cancel an account's subscription. 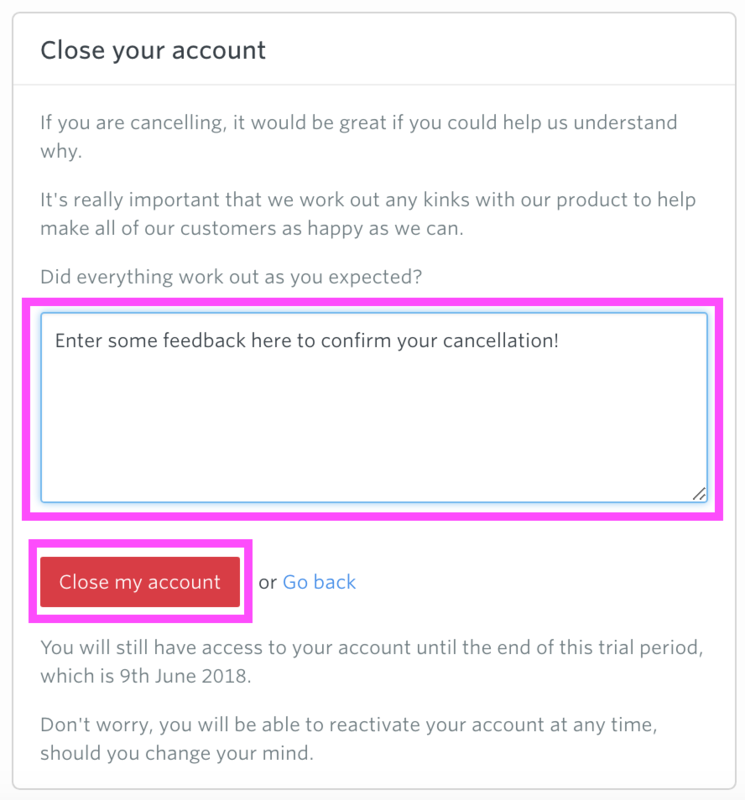 If you did not create the account, speak to your account owner to cancel. 3. Tell us why you're leaving us. Note: This is part of the cancellation process. You must follow this process to ensure your account cancellation is successful. Based on your feedback, we offer help to ensure that cancelling your account is the right choice. 4. 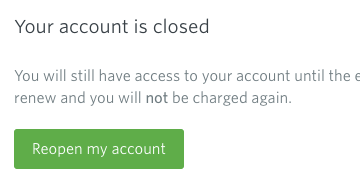 Click 'Close my account' or 'I still want to close my account'. 5. You'll get a message letting you know the cancellation has been successful, and a follow-up email too. 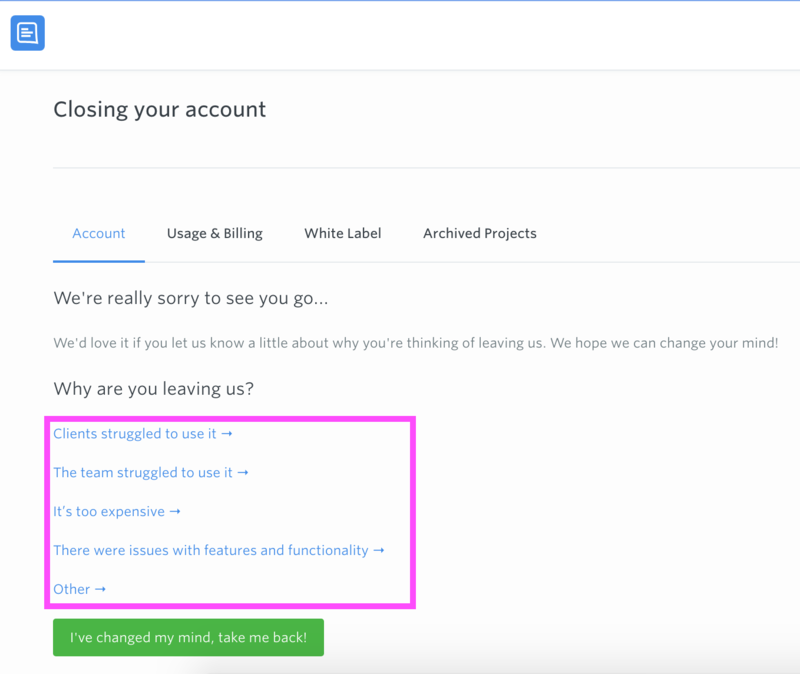 If you closed your account in the last 12 months, you can re-open it again to get access to your content. 3. Add your billing details and choose a subscription. 1. 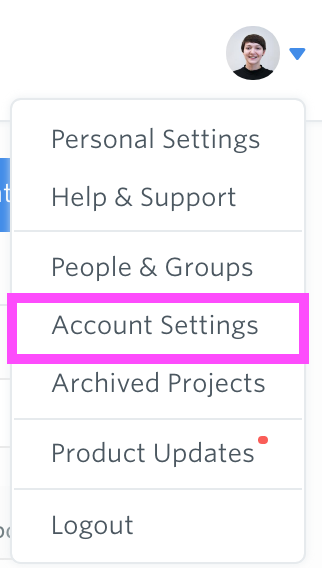 Login to your GatherContent account. 2. Follow the onscreen instructions and enter your billing details when prompted. We will permanently delete your account data 12 months after you close your account. If you would like your data deleted sooner, please get in touch with [email protected] and we can help you with that.